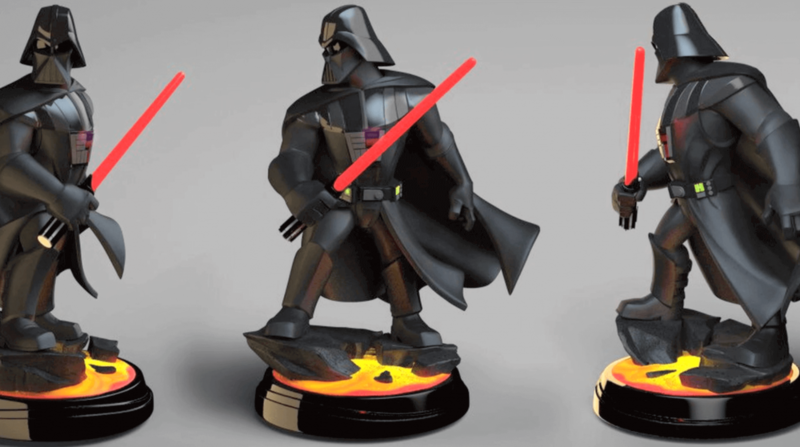 Today, thanks to Infiniteer Adventures, we get to take a look at the Disney Infinity Darth Vader “premium” figure that would have been released this year for the die-hard Disney Infinity collector. Previously we saw concept art of the Hulk figure and most recently saw a look at the Jack Skellington and Hulkbuster premium Disney Infinity figure. We also know the other figures in the premium line would have featured (at least): Buzz Lightyear and Elsa. These “premium” figures featured new in-game abilities as well as making different parts of the figure glow, all while standing nearly 12″ tall! This week, I also got to share with you an exclusive look at the gameplay of some of the premium Disney Infinity figures as well! Check out the full video below, and be sure to subscribe to Infiniteer Adventures to never miss a reveal!